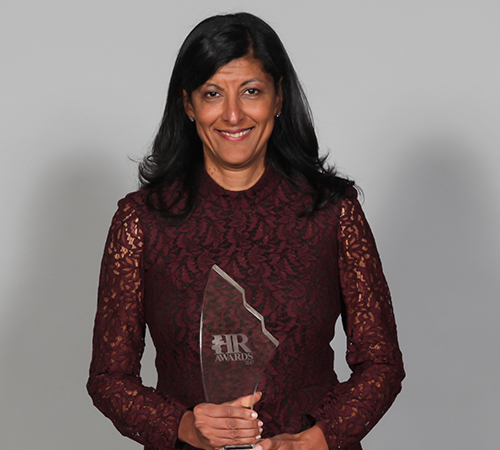 TORONTO - October 27, 2017 - RBC’s longtime Chief Human Resources Officer, Zabeen Hirji, was recognized with the Ivey Business School Award for Lifetime Achievement in the HR Industry in September 2017. The panel of judges described an “extremely difficult” decision given the number and calibre of submissions. They credited her with being a driving force behind RBC’s focus on human capital management, which has contributed to RBC being an award-winning employer and noted Zabeen’s long standing reputation as a passionate ambassador for diversity and women in leadership. Starting as a teller in 1977, Zabeen ends her 40-year RBC career as Chief Human Resources Officer and member of the Group Executive, after progressively senior roles in Operations, Retail Banking and Credit Cards. She has been a coach, mentor and advisor to senior management and colleagues as well as an inspiration to many people, inside and beyond RBC. During her acceptance remarks Zabeen encouraged HR professionals and aspiring leaders to invest in relationships at every stage of their career, to be curious and ask questions, and to not just be bold, but to be bolder and actively push beyond their comfort zones. In addition to her significant contributions at RBC, Zabeen is a community leader, currently serving on the Governing Council of the University of Toronto, as Chair of Toronto Region Immigrant Employment Council and a Director of CivicAction, where she also Chairs Escalator: Jobs for Youth Facing Barriers.